Live in one of the coziest apartments in Boynton Beach, FL and surround yourself with beautiful landscaping, charming homes, and thoughtful amenities. Located near I-95 and the Florida Turnpike, The Cove at Boynton Beach Apartments is just minutes away from Atlantic Coast Beaches as well as all of the shopping, dining and entertainment that nearby West Palm Beach, Florida has to offer. 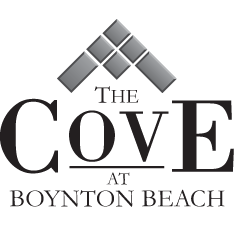 The Cove at Boynton Beach Apartments offers unique, two, or three bedroom apartment homes that include Washer/Dryer, Gated Community, and Screened Patios just to name a few of the exclusive amenities we offer our residents.